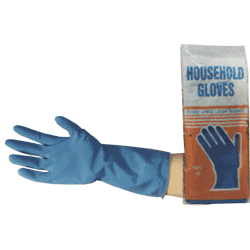 2 pairs of flock lined latex beekeeping gloves. These are thicker and looser fitting than nitrile gloves. They are tough with a long cuff and ideal for beekeeping. Cheap enough to be disposable as a disease barrier but they can be reused.